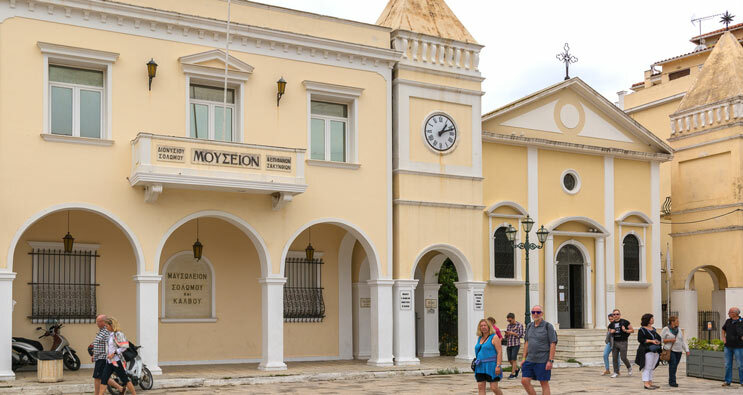 The Byzantine Museum is located at Solomos Square, and has a rich collection of icons: a panorama of ecclesiastical painting from the Byzantine period up to the 19th century, counting about a thousand hagiographies of post-Byzantine, Ionian and Zakynthian art. 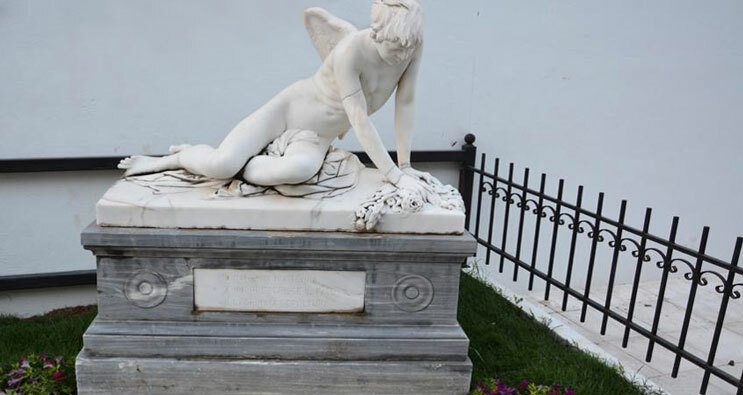 The Mausoleum in which the bones of the National Poet of Greece, Dionysios Solomos, the bones of the poet Andreas Kalvos and his wife are kept since 1968. At the entrance of the Mausoleum, there is a piece of the yew under which D. Solomos wrote the National Anthem on the Hill of Strani. 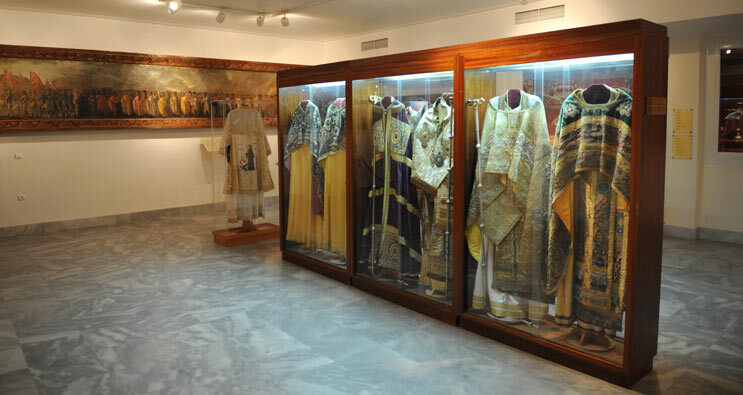 Holy Relics, exhibits and worship artworks are included in the Ecclesiastical Museum of the Monastery of Agios Dionysios in Zakynthos town. In there, the Holy Relics of Agios Dionysios have been transferred from the Monastery of Strofades, which was damaged by the earthquake of 1997. The visitor can also admire paintings, sculptures and weaving works. Among the most prominent exhibits is an icon of the 13th century which was transferred from the Holy Monastery of Strofades. The Ecclesiastical Museum was inaugurated in 2000. 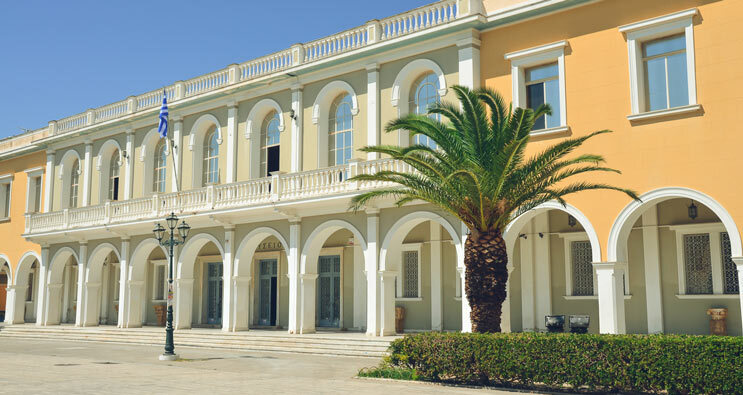 The visitor of the Mansion of Roma has the opportunity to see the history of Zakynthos, as well as of the newest Greece. 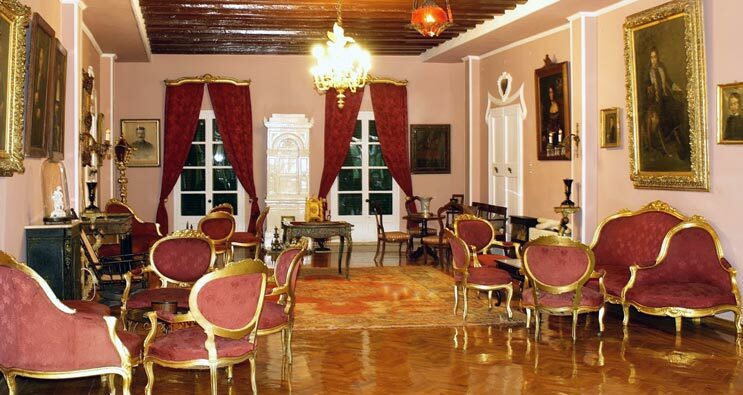 The Mansion was erected in the 1660s and was bought by the Roma family in 1880. It is a unique sample of a mansion left in Zakynthos after the earthquakes of 1953. Exquisite furniture, a collection of family portraits, paintings, uniforms, weapons and other historical objects are exhibited inside the Mansion, as well as a rich library with over 10,000 titles of books from very old and rare editions, from the 16th century to the present. After a stroll through Bohali's beautiful hill, the visitor will reach the Hill of Strani, with the small square where the national poet Dionysios Solomos, sitting under the shade of a tree and listening to the cannons from the siege of Mesologi, was inspired and wrote the Hymn to Liberty, the later National Anthem of Greece. 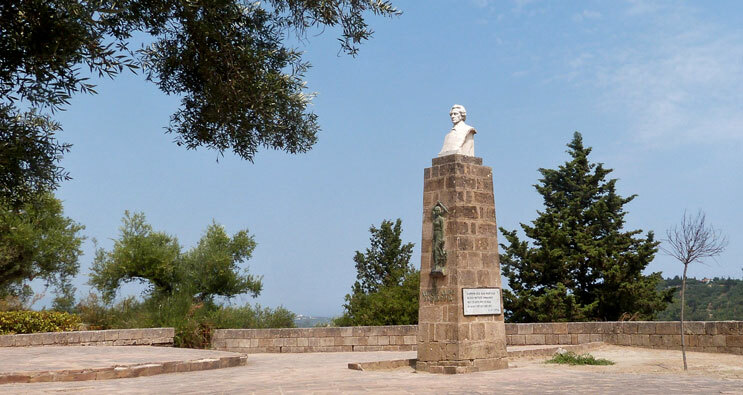 Also, the bust of Dionysios Solomos is situated at the Hill of Strani, while the beauty of the landscape of the green pine-covered hill is perfectly preserved. The house of Ugo Foscolo was a simple two-storey house in the town of Zakynthos. With an Italian-corfiot father and Greek mother, he later became the National poet of the Italiansa. It is said that, since he had no light at home, at night he went to the opposite church of Panagia Odigitria to study his lessons under the lamp of Agios Fanourios. Ugo Foscolo's home, having been leveled off by the bombings of World War II and then by the earthquakes of 1953, was "restored” in recent years.